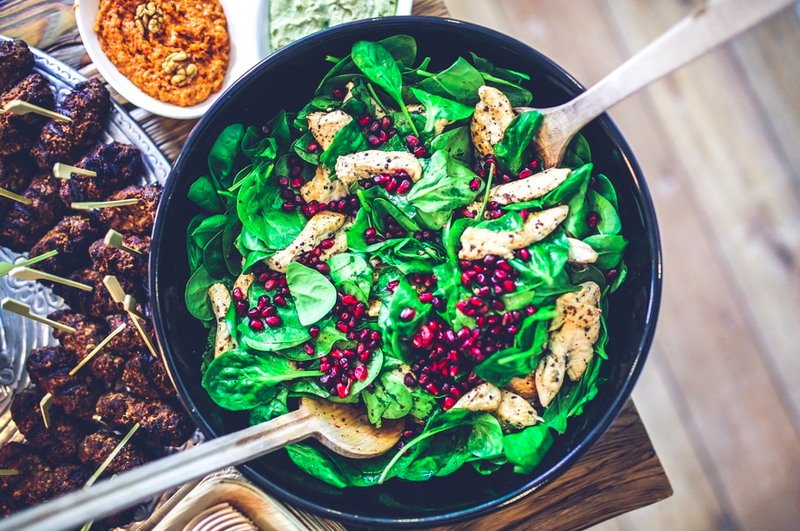 If you were to paint India on a canvas, the result would be a vibrant splash of colors – and this diversity is present especially in its cuisine. Known for their use of an infinite range of spices, Indian food is anything but bland and boring. From spicy North Indian food to tangy South Indian dishes, every state has a unique taste of its own. Indian cuisine is a platform which offers a wide range of flavors and creativity that delights chefs and food lovers alike. With that, here I’ll be sharing some of the most popular and sought-after Indian dishes that you too should definitely give a taste. 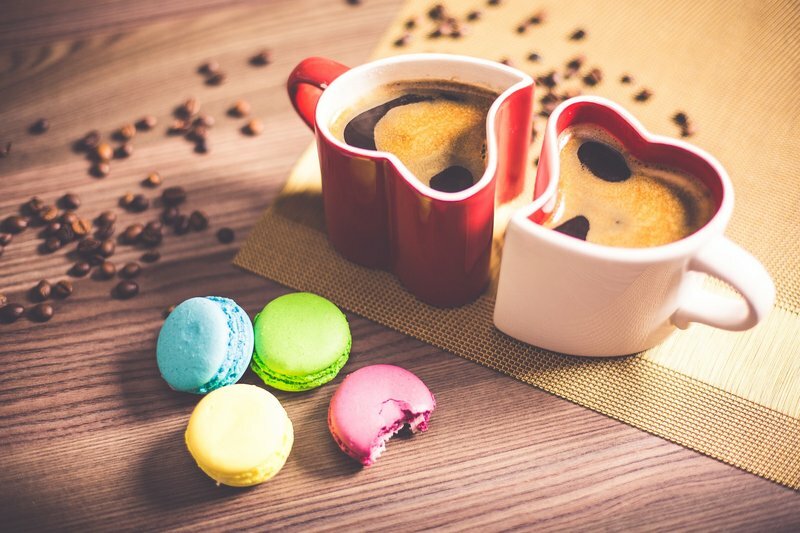 Learning from experience, I guarantee that you’ll be hooked! A traditional dish of the state of Karnataka, Medu Vada literally means soft fritter and is one of the most famous breakfast dishes in South India. Made of Split black gram and rice, it is a deep-fried dish, served alongside Sambar and coconut chutney. Sambar is another tangy traditional dish of Maharashtra which has been adopted by South India. 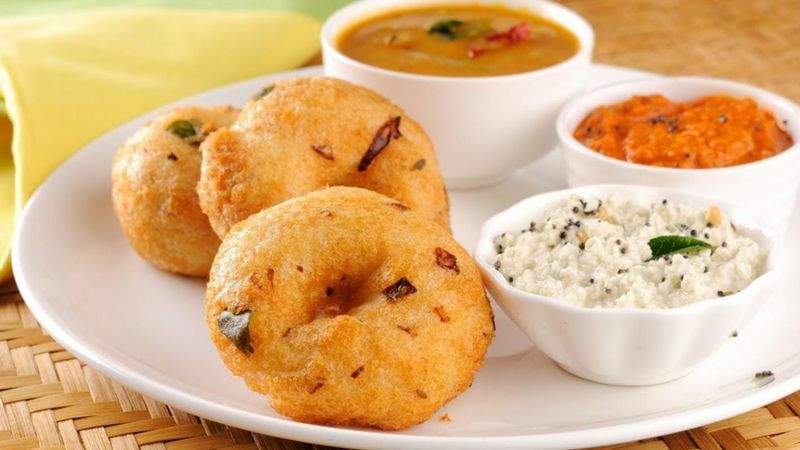 The combination of Medu Vada alongside Sambar and coconut chutney makeup for a delectable breakfast. Originally a South Indian dish, Medu Vada can often be found served in homes and restaurants all across India, a testament of its popularity. If you know anything about North India, then you must be aware that North Indian love their Aloo Poori (Aloo is Hindi for potato and Poori is a traditional bread made of wheat flour and fried in ghee). While Alur Torkari might come across as a usual North Indian Aloo Poori, it is not. The potatoes are cooked in a delicious thick tomato gravy, with mustard seeds and other Indian spices. One of the best dishes to try in Kolkata, Alur Torkari can easily be found in most restaurants across the state of West Bengal. Served with crispy bread known as Poori, Alur Torkari is an ideal choice for an authentic Bengali breakfast. If you know anything about Hyderabad, you must be aware of the world famous Hyderabadi Biryani. 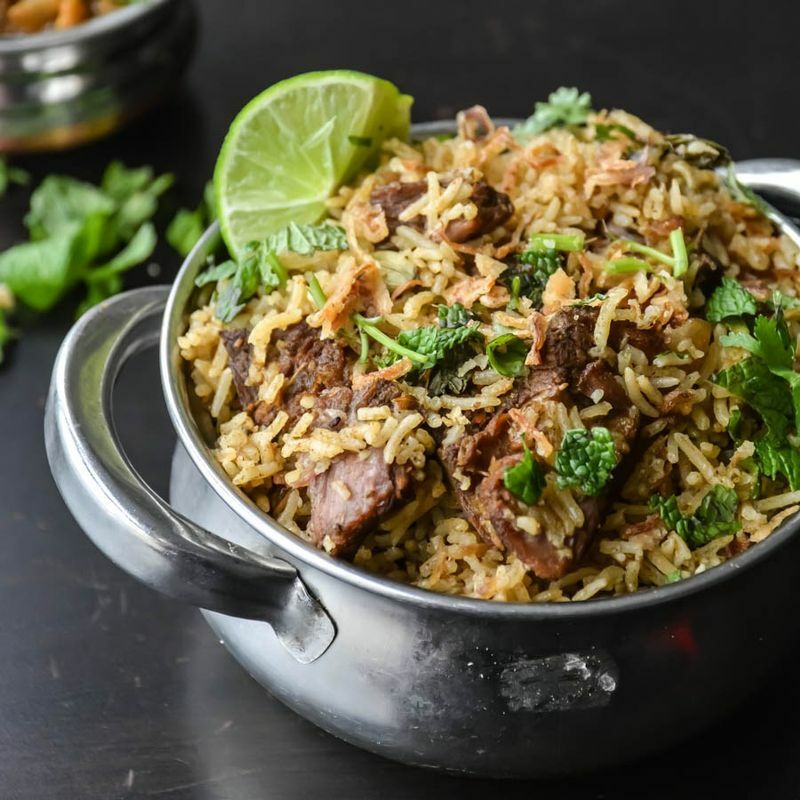 A Hyderabadi recipe, the biryani is a blast of hundreds of different flavors. Meat slow cooked with curd, piquant spices, butter and saffron blended with semi-cooked rice. 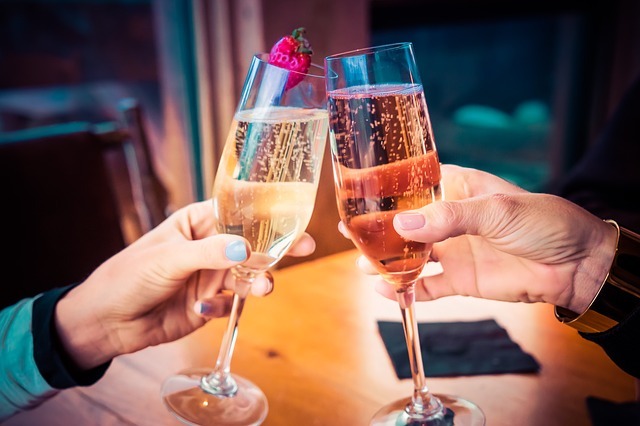 It is a perfect blend and balance of spices and that tangy taste. Usually, the biryani is cooked in dum style, means to let it breathe in, referring to the biryani being cooked in a big pot on a low flame. The Hyderabadi biryani is usually served with cucumber and condiment of curd and red chili. A royal Mughal dish, which came to India with Mughals is a now a part of every North Indian menu. A thick gravy based dish, Korma is best enjoyed with a traditional bread, the Khamiri Roti. The traditional Chicken Korma is made by slow cooking chicken in a paste of ginger, garlic, onion, and spices. The gravy, however, is made out of almonds, cashews and onion, and other local spices. Korma can be made of both chicken and mutton and the thickness of gravy usually depends upon the chef. 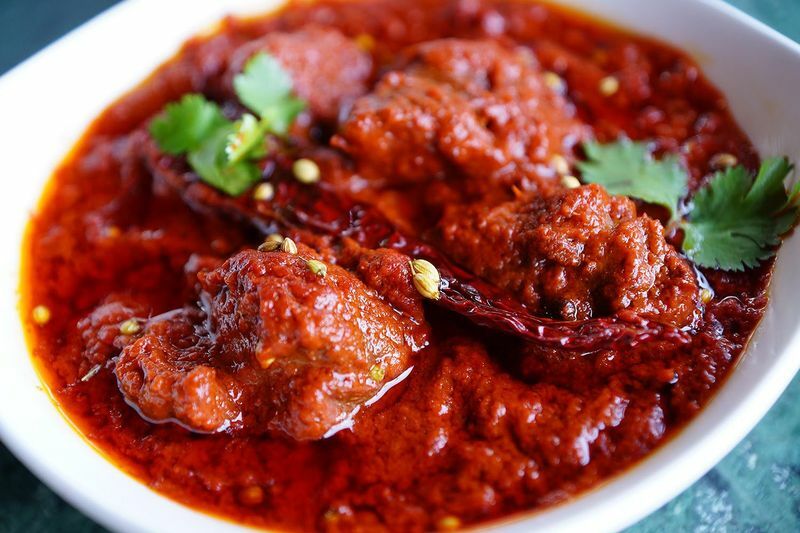 Although the traditional dish has evolved as per modern needs, the original spicy chicken and mutton korma can still be found in the rustic lanes of Old Delhi and Hyderabad. Another famous Mughlai dish which has made a global name for itself. Although, not a Lucknawi dish by origin, Tunday Kababi in Lucknow serve one of the best Galouti Kebab in India. 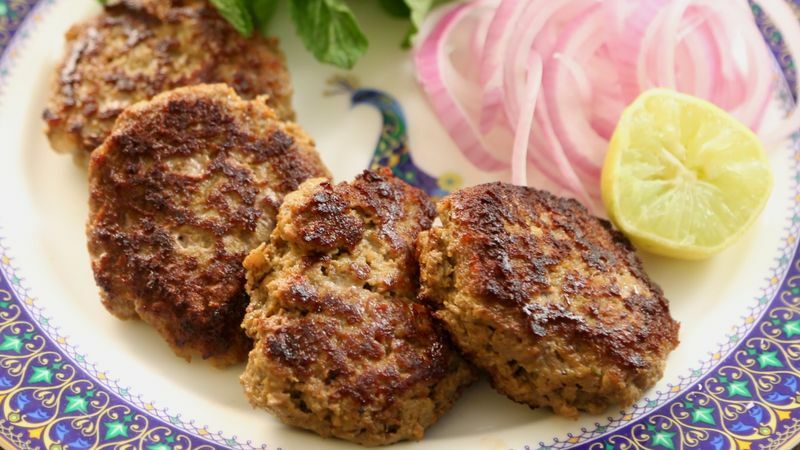 Made with mutton, the minced meat is mixed with spices and slow cooked on a pan in form of Kebab. The softness of Kebab is best enjoyed with a traditional Ulte Tawe Ka Paratha. The combination of 2 Kebab and a paratha is heavy enough to satiate any foodie’s appetite. The king of all vegetarian meals, Ela Sadya is quite literally a feast. 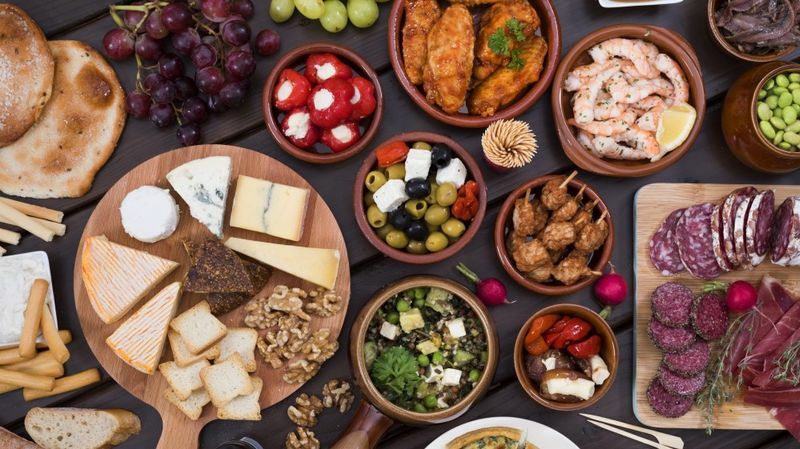 With options more than you would ever see on a platter, Ela Sadya is served during ceremonial and religious occasions like wedding and cultural festivals. The dish usually is a combination of pachadi, khichadi, sambar, thoran, pulses, and many more local delicacies. The dish is served on banana leaves and it can give any big course meal a run for its money! 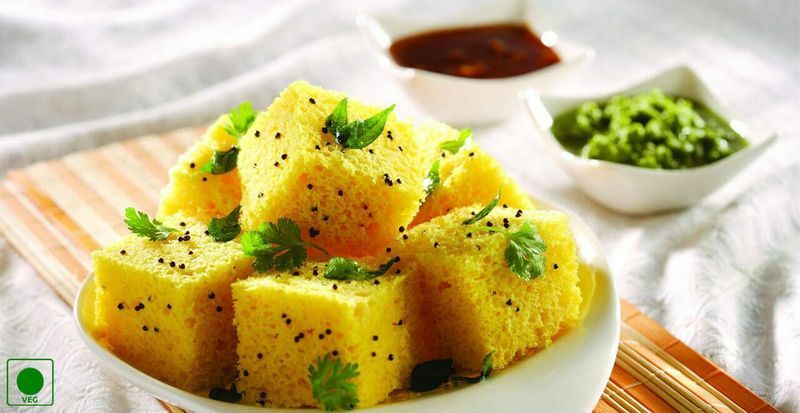 Dhokla is the most consumed Gujarati dish in the world. A dish that is ideal to be consumed all day, Dhokla has no fixed time or season for consumption. A yellow spongy dish made out of chickpeas and fermented rice, Dhokla is usually eaten with a mint chutney or methi chutney(made out of tamarind and Dates). A perfect blend of salt and sugar, it is a dish made by frying it with cumin seeds and mustard. 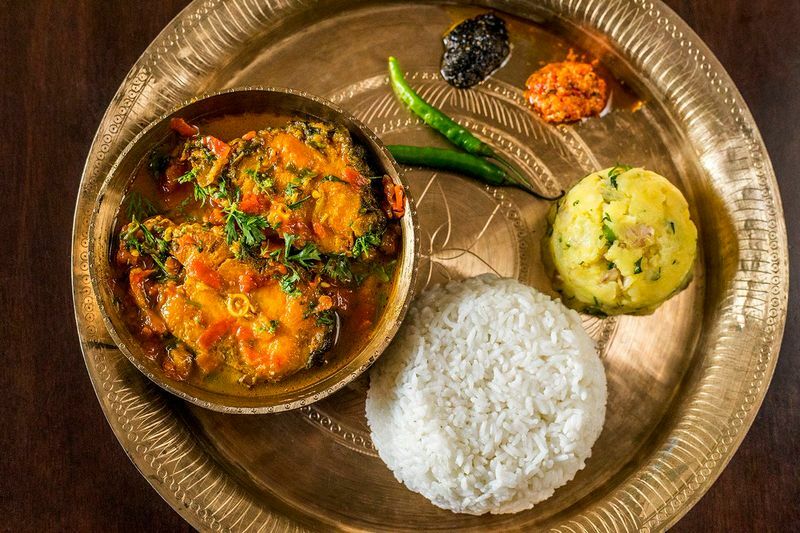 Bengalis are known for their love for fish and no Bengali meal is ever complete without a fish cuisine. Macher Jhol is the staple of Kolkata cuisines. Visit any hotel or any Bengali home and you’ll be welcomed by the aroma of Macher Jhol being cooked. A spicy fish dish made along with tomatoes and potatoes and seasoned with garlic, turmeric, onions, and garlic. The dish is best served with rice. If you happen to be a seafood lover, Macher Jhol would secure its place in your top 10 favorite dishes of all time. Laal Maas is a fiery red Rajasthani feast. A Traditional Rajasthani meat curry, it is cooked using mutton. Cooked in a variety of spices with a burst of red chilies, it tastes like a carnival in your mouth. The dish is usually red in color and it is garnished with coriander leaves. Laal Maas generally believed to be cooked using tomato but the traditional dish uses buttermilk for tangy taste and the bright red color and spicy flavor comes from Mathania Red Chilli, a local chili found in Mathania, Jodhpur. Although, one of the most popular of Rajasthani dish, the original recipe is being replaced by a new changed recipe, which tastes good but not like the traditional Laal Maas. Sandesh is a traditional Bengali sweet dish that has become popular all across North India. Made out of milk and cottage cheese mixed with sugar, Sandesh is one of the most famous delicacies of Bengal. Found in a variety of shapes, the little balls taste like a carnival of sugar in your mouth. This dessert is usually served as a dessert after a traditional Bengali dinner, Sandesh is one of the best Bengali dishes for those who have a sweet tooth. This tangy curry from the state of Assam is one of the most popular foods in India. The major ingredient is fish, which is slow cooked with a broth made of tomatoes, outenga, and lemon. The taste is extremely tangy yet refreshing. The slow-cooked fish mixed with the broth gives the dish a perfect balance of spices and flavor. 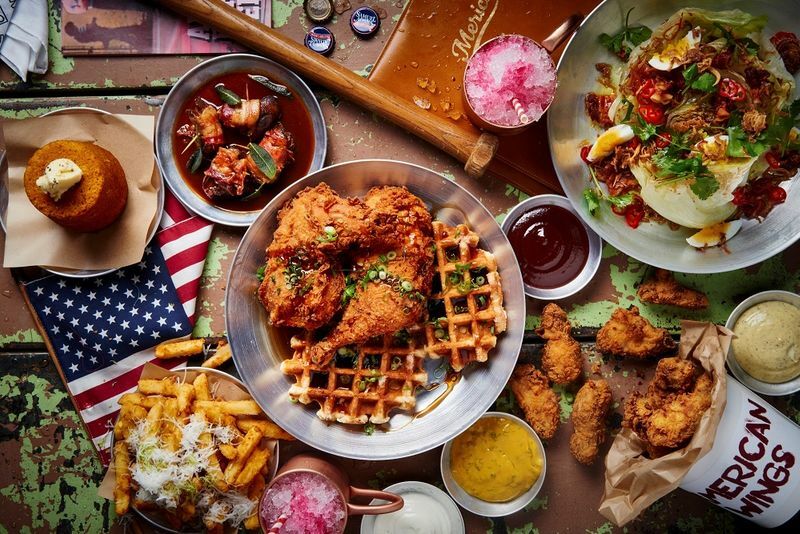 Interested in sampling all of the dishes mentioned above and many more? 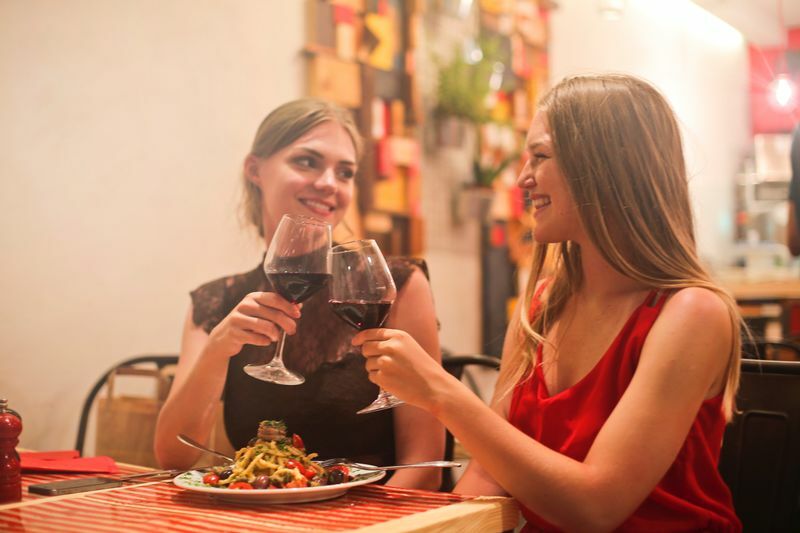 Why not sign yourself up for an authentic food tour in India? Zara is a professional writer and travelogue. With a deep passion for tourism, she has traveled and explored the entire offbeat trekking destination in the Indian Himalaya region.